Advent Calendars have always been one of my favorite holiday traditions. They seem to make the build-up to Christmas that much more exciting. Each day holds a little surprise and a reminder of the big event! 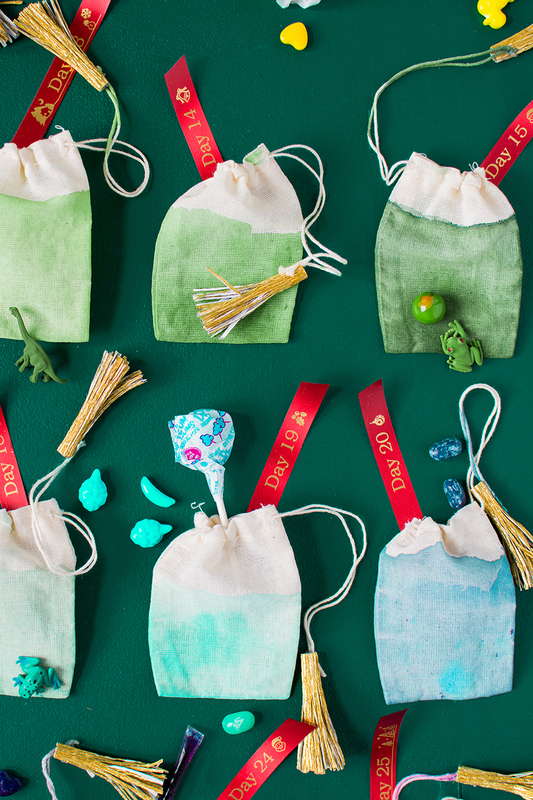 We tapped into our love of rainbows to create a Rainbow Ombre Advent Calendar. 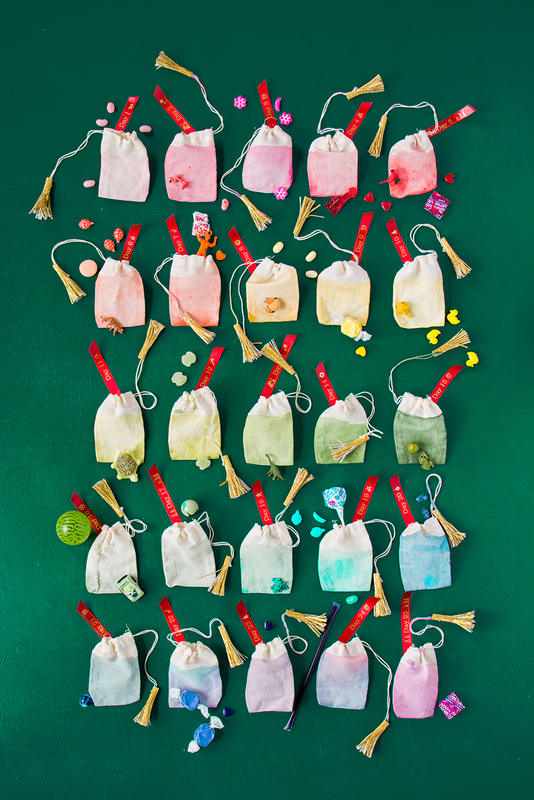 Each day counting down to Christmas is represented by a different color bag, filled with coordinating colored toys, treats, or trinkets! 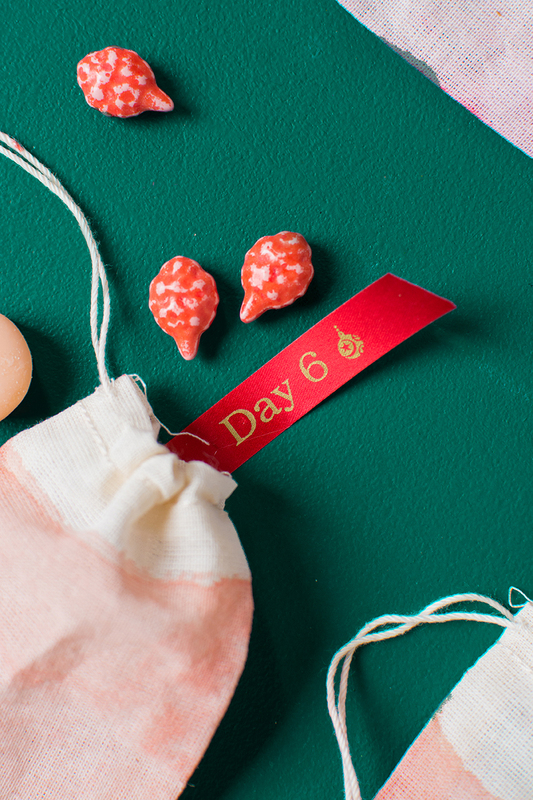 We partnered with the Brother to create festive P-Touch Embellish ribbons stating days 1 to 25, to tuck into each bag. 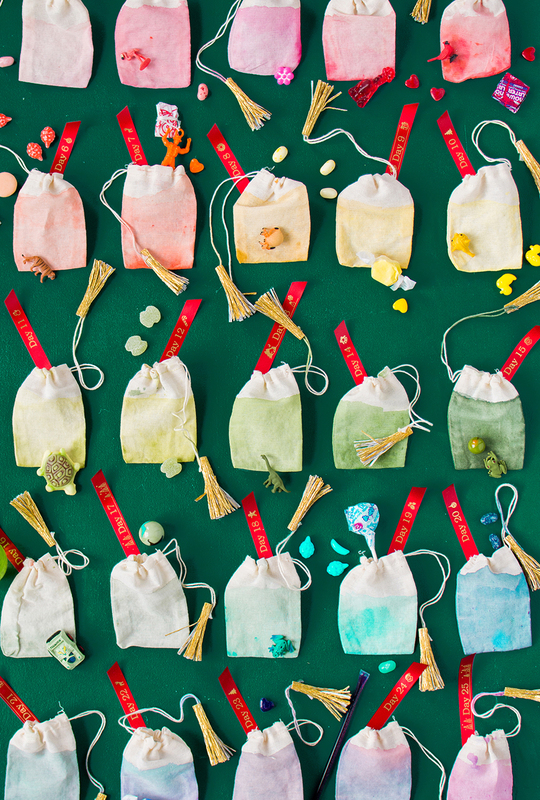 You, your partner, or your little ones, will have a blast discovering a new treasure each day, not to mention it makes a beautiful display on your wall! 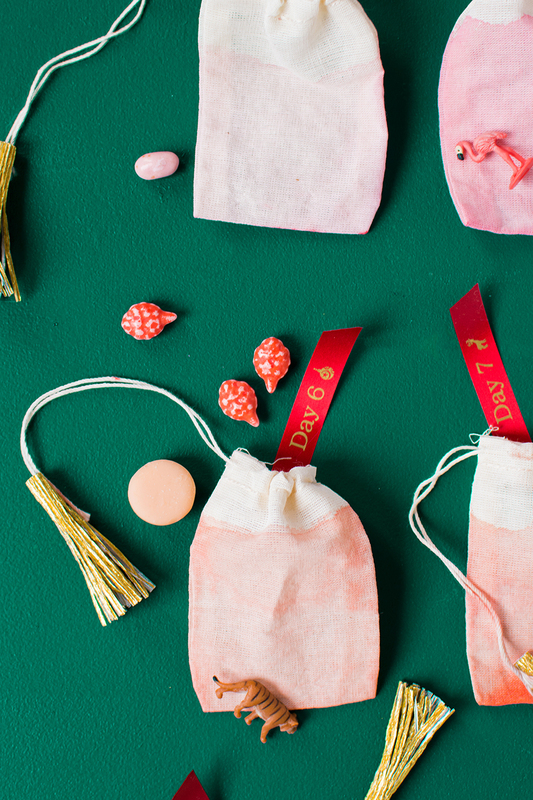 We personalized the P-Touch Embellish red ribbon and paired it with some gold crepe paper tassels to add a little pizazz to each bag. They look super festive! 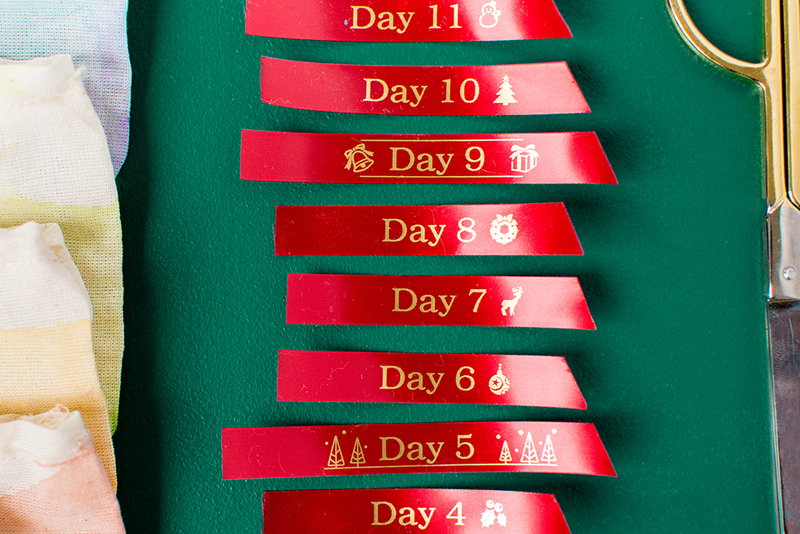 We loved adding the Christmas symbols and borders to each ribbon. The P-touch Embellish machine has decorative options for every occasion imaginable! 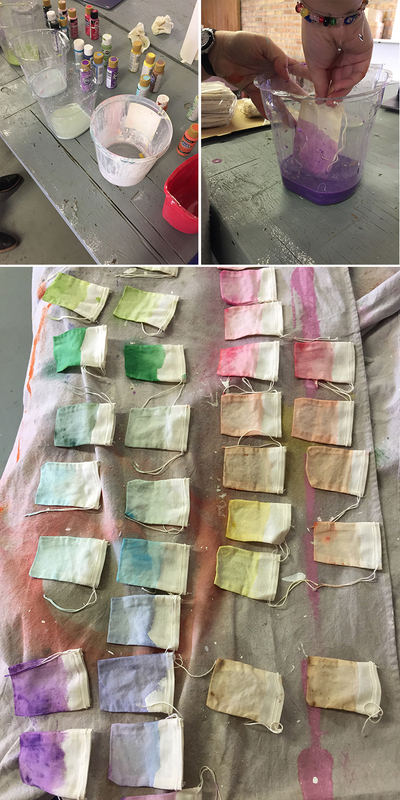 Dilute the acrylic paint with some water to create a dye like consistency. 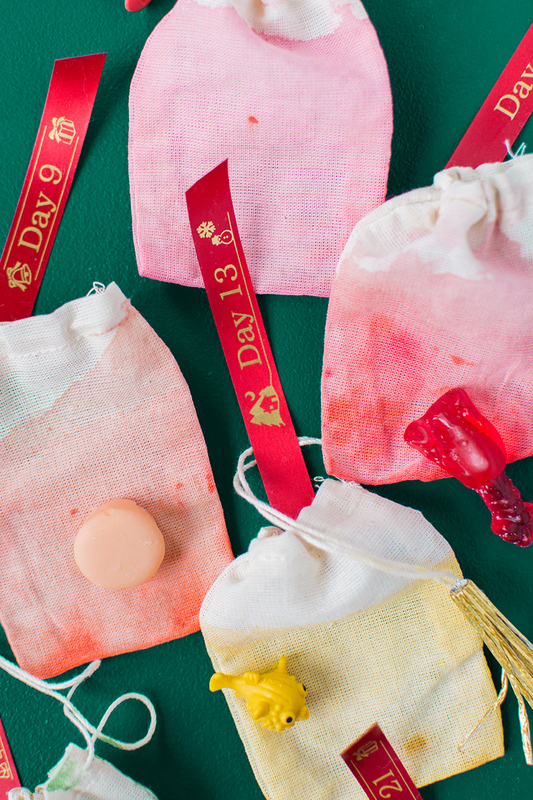 Dip the bag about ½ way into the dye. The color will bleed and rise about ¾ of the way up. Let dry on a tarp. Repeat with all the different colors. 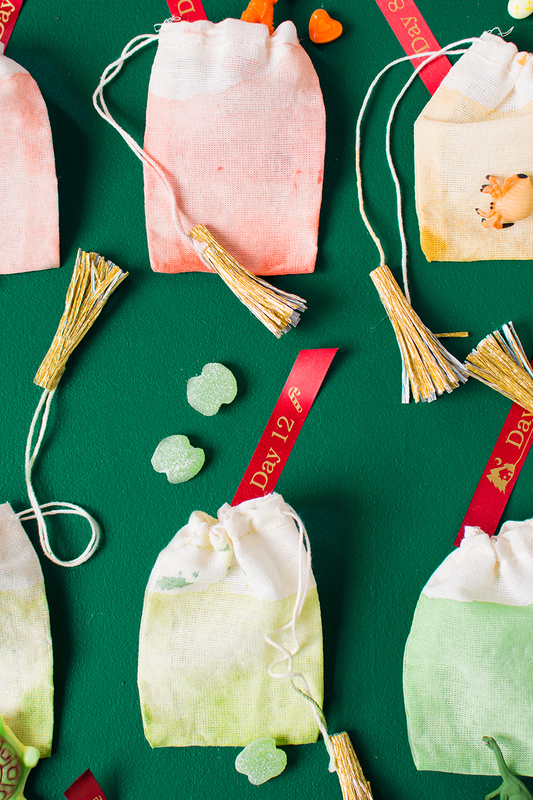 Take a muslin bag and hot glue the ends of the drawstring onto the inside of the crepe. Roll up tightly and glue to secure. Print “Day 1” etc. 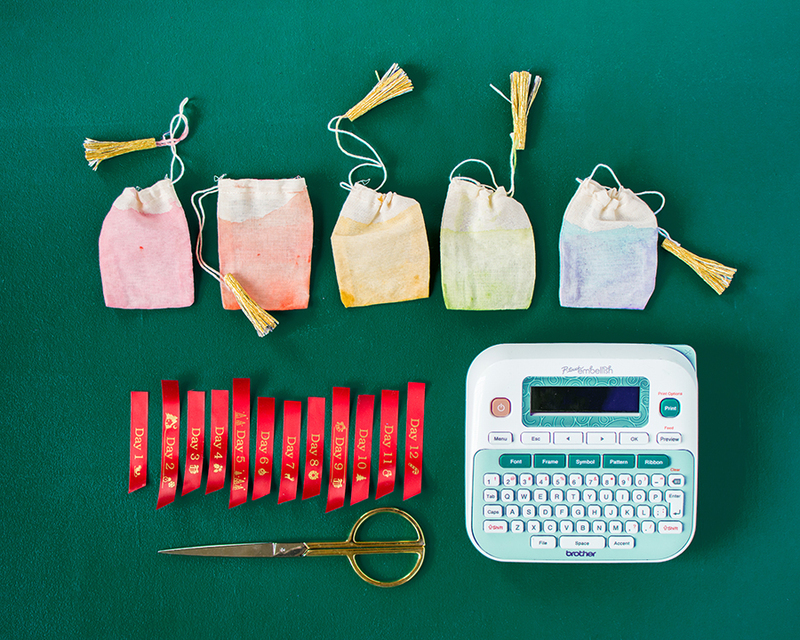 onto the P-touch Embellish ribbon with any festive symbols you choose! 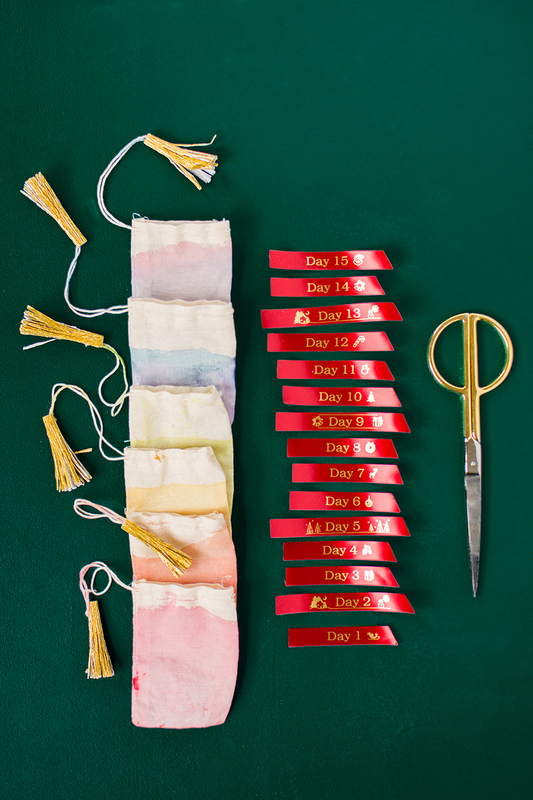 Fill each day with goodies and the appropriate ribbon for each day. 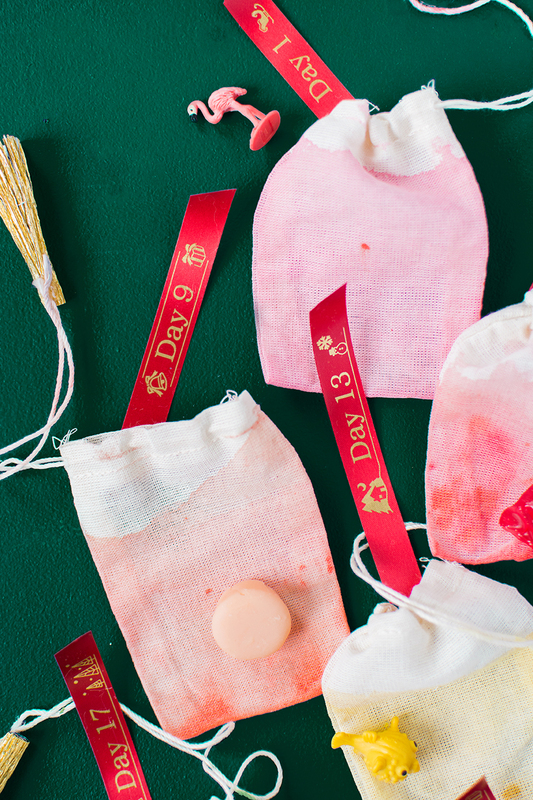 Hang your advent bags on a board or wall and start counting down the days! This post was sponsored by Brother, all opinions expressed are our own. Thank you for supporting the brands that allow Lars to keep making original content!